Hamelin is known worldwide for his unrivaled blend of consummate musicianship and brilliant technique in the great works of the established repertoire, as well as for his intrepid exploration of the rarities of the 19th, 20th, and 21st centuries – in concert and on disc. Hamelin was honored with the 2014 Echo Klassik Instrumentalist of Year (Piano) and Disc of the Year by Diapason magazine and Classica magazine for his three-disc set, Busoni: Late Piano Music; and an album of his own compositions, Hamelin: Études. His études album also earned him a ninth GRAMMY Award nomination in 2010 and a first prize from the German Record Critics’ Association. 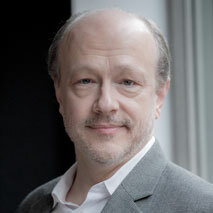 Born in Montreal, Hamelin is the recipient of a lifetime achievement award from the German Record Critic’s Association. He is an Officer of the Order of Canada, a Chevalier de l’Ordre du Québec, and a member of the Royal Society of Canada. A feature of his 2017/18 season is a return to the Stern Auditorium of Carnegie Hall on the Keyboard Virtuosos series as well as recitals including the Seattle Symphony and Yale University, and internationally at the Concertgebouw in Amsterdam, Munich, Moscow, and Vancouver.